We teach to Traditional Martial Arts in a modern society. Much of our training focuses on how traditional Martial Arts can apply to today. We teach a variety of Martial Arts including Kosho Ryu Kempo, Chi Ling Pai Kung Fu, Escrima and Hapkido. Old School Martial Arts is a proud member of the Martial Arts Collective Society, an organization founded to help preserve all Martial Arts. 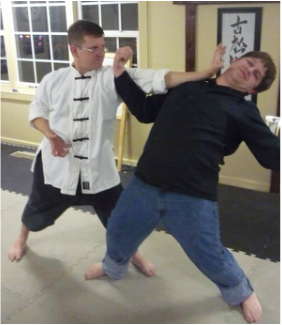 ​Jon Ludwig Renshi has been a teacher of Kosho Ryu Kempo in the Sei Kosho Shorei Kai for over 20 years. He is involved in maintaining the Martial Arts Collective Society. He is also an instructor (Sifu) in Chi Ling Pai Kung Fu. Ludwig Renshi has studied many arts such as Kosho Ryu, Tae Kwon Do, Hapkido, Silat, Traditional Japanese Jujitsu, Escrima, Arnis and Kung Fu. He has a passion for the study of Martial Arts. Kosho Ryu Kempo is a 750 old Japanese Martial Art. It was originally developed by Japanese Warrior Monks. The word Kempo translates to mean "Natural Law". Kosho Ryu Kempo is a refined study of the human body and strategy as it relates to self defense. Studies include empty handed self defense, weaponry, healing arts, philosophy, history, and strategy. The Kosho Ryu practitioner questions everything to find the most efficient method of movement. For more information, visit the Sei Kosho Shorei Kai Homepage, our organization's official site. Chi Ling Pai Kung Fu is a Chinese Martial Art that emphasizes the study of mass and motion. It is taught by learning different animal forms that embody different concepts of movement. Some of the animals include; Tiger, Crane, Butterfly, Monkey, Snake, Dragon, Bear, and Eagle. Much of Chi Ling Pai Kung Fu emphasizes the "internal" aspects of the Martial Arts. 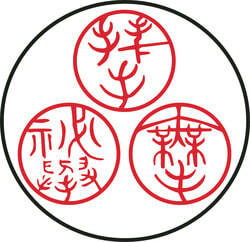 For more information, visit the Chi Ling Pai Homepage, our organization's official site. Escrima and Arnis are primarily weaponry based Martial Arts from the Philippines. The Filipino arts taught at are school are actually a blend of Martial Arts from Southeast Asia. Serrada Escrima - a close range system founded by Angel Cabales, Modern Arnis - a mid-range system founded by Remy Presas, and various systems of Silat - Indonesian and Malaysian fighting arts. We work with a variety of weapons including, but not limited to; single stick, double stick, knife, and chain.